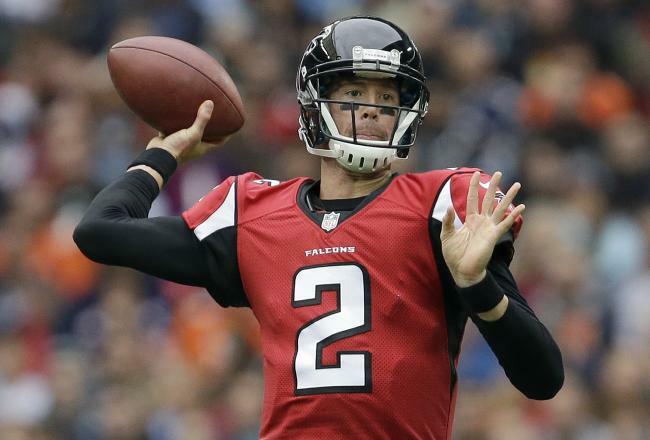 Are the Atlanta Falcons Holding Back Matt Ryan? When the Atlanta Falcons drafted Matt Ryan out of Boston College, he was a quarterback just brimming with potential. Ryan had brought the BC Eagles as high as second in the college football polls, and his skills seemed to promise similar success for the Falcons. And Ryan delivered immediately, throwing a big touchdown pass on his first-ever NFL attempt and then leading Atlanta to the playoffs. In fact, Ryan’s Falcons made the playoffs for four of his first five years in the league. For the past two years, though, the Falcons have looked awful and they don’t look much better this year. 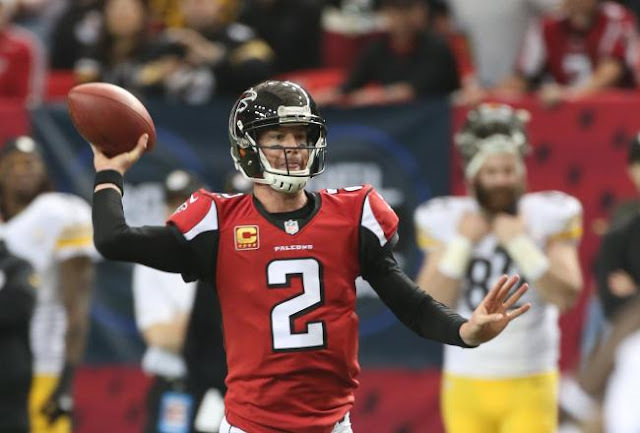 They’ve finished third twice in a row, and Matt Ryan’s once-promising career still includes only one playoff win (they beat the Seattle Seahawks in the 2012 divisional round). So what’s wrong? Is Matt Ryan the problem? 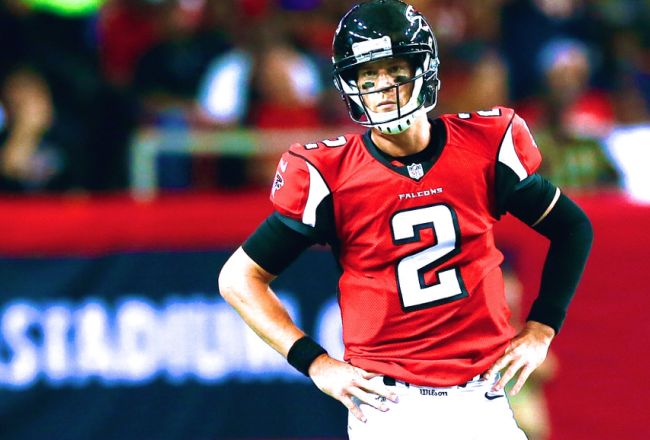 Has Matt Ryan Gotten Worse? Matt Ryan’s stats don’t exactly line up with his team’s recent record. His passing yards have gone up almost every single season, from 3,440 in his rookie year to 4,694. His touchdowns are up too, from the high teens and low twenties to a high of 32 in 2012 and a very solid 28 last season. The length of his average pass has stayed about the same, as has his completion percentage, so his increased yardage and touchdown numbers can be attributed to his team asking him to throw more often. Simply put, Matt Ryan is doing his job just as well as he always has — if not better — and is being asked to do it more and more often. This could be attributed in part to the increased role of passing in the league in general over the past few years, but isn’t quite enough to explain the numbers. Something else does, though: Ryan’s team. Where Has Ryan’s Help Gone? In each of Matt Ryan’s first five seasons, Michael Turner led the Falcons in rushing. Turner helped Ryan develop by rushing for a total of 1,699 yards in the quarterback’s rookie season, and he continued to draw pressure off the pass in the following four years. Turner averaged over 1,200 yards per season from 2008 to 2012, which were also Ryan’s first five years in the league. In 2013 and 2014, Steven Jackson was the Falcons’ leading rusher. He finished those years with 543 and 707 yards, respectively. Other positions changed hands between 2012 and 2013 (it’s also the offseason that saw the end of Roddy White’s role as top receiver), but no other change affected the team as much as the failure to find a real replacement at running back. Also gone: the defense. 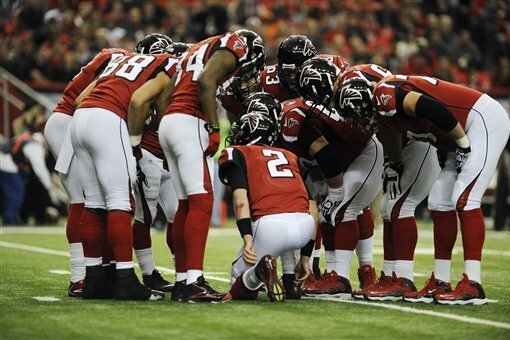 Of all 32 teams in the NFL, the Falcons had the most yards gained against them last year. That’s horrible. The Falcons were never world-beaters on defense — they averaged about 19th in yards against during Ryan’s first five years — but they need to be better than dead last. It’s not surprising that without a running game or a defense, the Falcons have been abysmal for a couple of years. What is surprising is that the offense is still sort of decent. They’re about the middle of the pack in offensive production over the past two years, an average of 16th in points scored and 11th in yards gained in the 32-team league. That’s thanks entirely to the passing game, including the work of receiver Julio Jones and, of course, quarterback Matt Ryan. The Falcons have a new coach this year, replacing Mike Smith, the only NFL coach Matt Ryan has ever known. They have a new offensive play caller in Mike Shanahan. They’ve said goodbye to Jackson and RB2 Jacquizz Rodgers, and hello to RB Tevin Coleman, who was drafted in the third round. It’s too soon to say if they’ve done enough, but Matt Ryan has to hope that they have. The Falcons have been holding him back for too long.